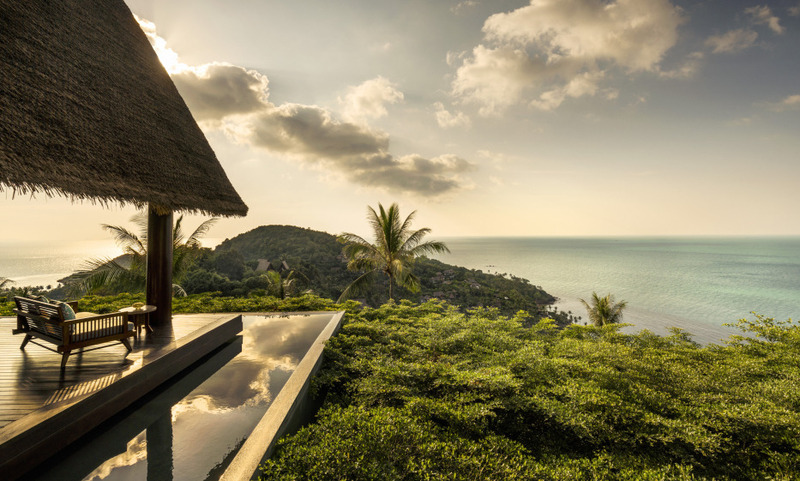 Experience an away-from-it-all hilldside resort with panaromic views of the Gulf of Thailand at the Four Seasons Resort Koh Samui. Surrounded by tropical gardens and conserved coconut groves, it's an amphitheater of sky, sun and sea. The dream starts at the entrance when greeted with the soaring teak doors – opened to reveal a magnificent view from the hilltop. Extraordinary setting : blending into the tropical landscape of coconut palms, the Resort spills down the terraced hillside to a private beach.